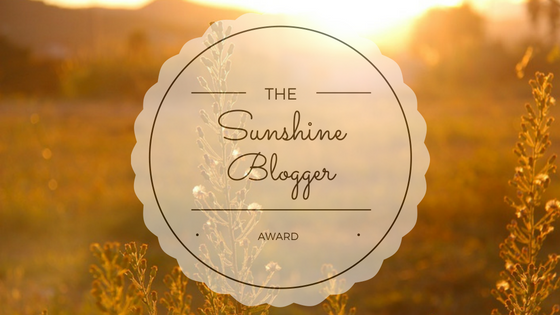 So today I have been nominated for another blogger award and I'm so so grateful! I never expected anyone to actually read my blog and it honestly means the world to me when people take the time to check out my posts. 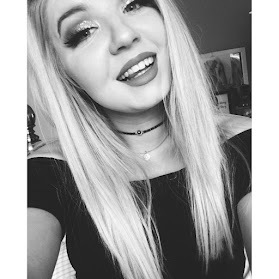 I've been nominated by the lovely Blondie at https://blondiexblogs.wordpress.com/ please check her out if you haven't already as she is amazing! 1) Where is your dream place to live and why? I would love to live in York here in England. I would love to live there as I have been so many times and I just love everything about it from the old cobbled streets to the modern areas. 2) Do you have a dream pet, if so what is it and what would you call it? 3) What is the best thing that has ever happened to you? I would say that the best thing that has ever happened to me would be meeting my best friends and boyfriend. Cheesy I know but they mean the world to me and I have no idea what I would do without them. The things that makes me happy would be spending time with my loved ones and cuddles with my dog (She is so cute). 5) What is your favourite thing to do by yourself/with others? Hands down my favourite thing to do by myself would be blogging, I enjoy taking photos and writing up posts so much. With others it would have to be going out for food as I am such a foodie. 6) If you had the chance to buy one thing you wanted what would it be and why? If I could buy one thing right now it would probably be a house as I really want to move out and get my own place. 7) What is your favourite quote and what does it mean to you? I actually have two favourite quotes the first being 'Everything happens for a reason' I love this as it is something I really believe in. The second is ' Negativity isn't the way to go, Smile more and eat some chocolate' I love this as it is so positive and I just think that life is too short to be sad all the time. It is also a quote from Ed Sheeran and I love him a lot. 8) What is your favourite memory from Summer? My favourite memory from the Summer would be going on holiday to Tenerife with my friends as I had such an amazing time. 9) When do you feel the most beautiful? I can honestly say that I don't really see myself as beautiful, However I would probably say I am the most confident when I am all glammed up and most likely with a dark lip. In ten years I would love to be in my own house and possibly married to my amazing boyfriend. I would also be super happy if I could drive and had my pugs. 11) What's your favourite thing about yourself? I would probably say my favourite thing about myself is that I am quite self-motivated. I can usually motivate myself to do the things I really want to do which is great. 1) What was the highlight of your 2017? 2) If you could have one wish come true what would it be? 3) What do you do to cheer yourself up if your feeling down? 4) What is one thing you love about yourself? 5) Where do you want to be in the next 10 years? 6) What are some of your goals for 2018? 7) What is one thing you couldn't live without? 8) What is your favourite thing about blogging? 9) What is your favourite quote and why? 10) What is the best thing that has ever happened to you? 11) If you could change one thing about yourself/your life what would it be and why?